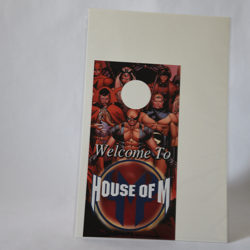 Description: This is a House of M event checklist door hanger that lists the various comics in the crossover on the back. Dr. 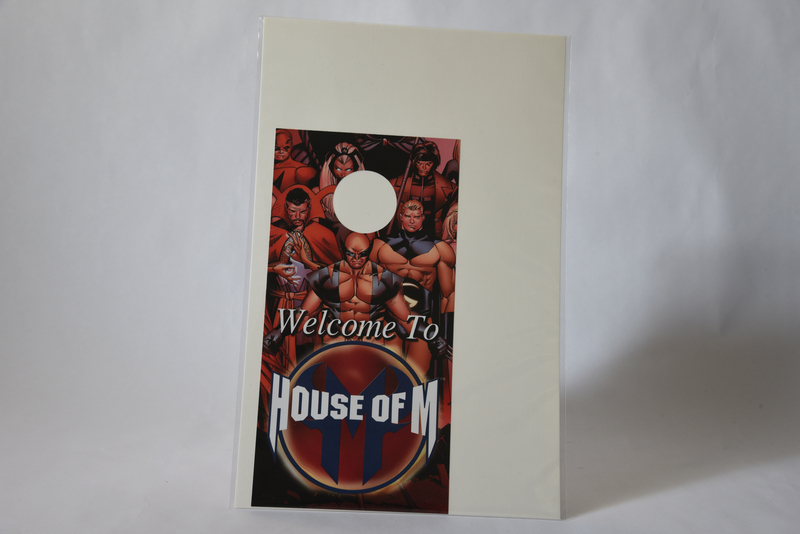 Strange is featured on the front.